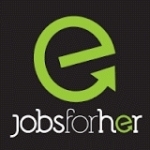 The Events Coordinator is responsible for assisting in planning, budgeting and overall management of events hosted by JobsForHer across India. - Supervise efforts to ensure proper data collection for each event, including income/expense information, ticket sales, and committee/volunteer contacts. - Coordinate with the Marketing, Content & Tech teams to develop event design and materials, implement mailings, marketing, outreach for all events. - Manage on-site setup, production and take down for each event. - Facilitate JobsForHer's relationship with third-party event coordinators and assist as needed and appropriate for event production. - Minimum 0-1 year related events experience. - Must be able to handle multiple projects simultaneously in a fast-paced team environment, to anticipate project needs, discern work priorities, and meet deadlines with little supervision, and be willing to work occasional evenings and weekends. - Excellent written and verbal skills with the ability to communicate effectively with staff, volunteers, sponsors, vendors and potential donors. - The position requires a flexible schedule as events may occur in the evenings or on weekends. - Must be open to travel.